Legends, mysteries, and traditions abound surrounding the history of Arabia, where the oldest confirmed signs of human settlement date back over 15,000 years to prehistoric times at the end of the last Ice Age. The earliest historical records date back 5,000 years to the epoch when the Egyptians were first establishing their civilization along the banks of the Nile. In comparison with life in the land of the pharaohs, lacking a mighty river like the Nile to water and enrich their soil, limited by scant resources, confronted by a climate of great extremes, and visited upon all too often by a succession of foreign armies, the native peoples of the Arabian Peninsula have forever faced myriad challenges in their everyday lives. And yet, for five millennia and more, they have survived and thrived and contributed mightily to the history of the world. This is the land that gave us in historical order Abraham, Moses, Jesus, and Muhammad. Set at the crossroads of three continents—Africa, Asia, and Europe—Arabia was known to writers of antiquity as the conduit through which flowed the bulk of spice and incense and luxury trade from Asia to the lands of the Mediterranean Basin and Europe. For untold centuries, strings of camels and donkeys burdened with pepper and ginger, cardamom and cinnamon, cassia and turmeric and more from India’s Malabar Coast trekked Arabia’s caravan routes, bringing in their train wealth and splendor to settlements along the way that owed their existence to passing traders and wayfarers. Three such places were the “Rose Red” city of Petra in present-day Jordan, the port of Shabwah on the Gulf of Aden, and the port of Gerrha on the western shore of the Arabian Gulf. Almonds and dates from the peninsula were also traded in abundance. 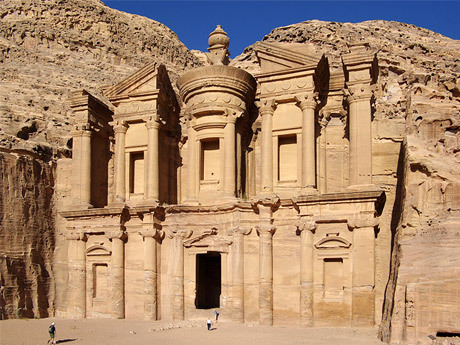 With Petra as its capital, the Nabatean Kingdom established a unique civilization at the time of Jesus based on trade with the Roman world. Other valuable goods making their way across Arabia in ages past included silks and precious stones, silver and gold, and aromatics like balsam, terebinth, frankincense, and myrrh. Celebrated traditions and enduring images emerged from this fabled land, often appearing as themes in fine art and popular culture. 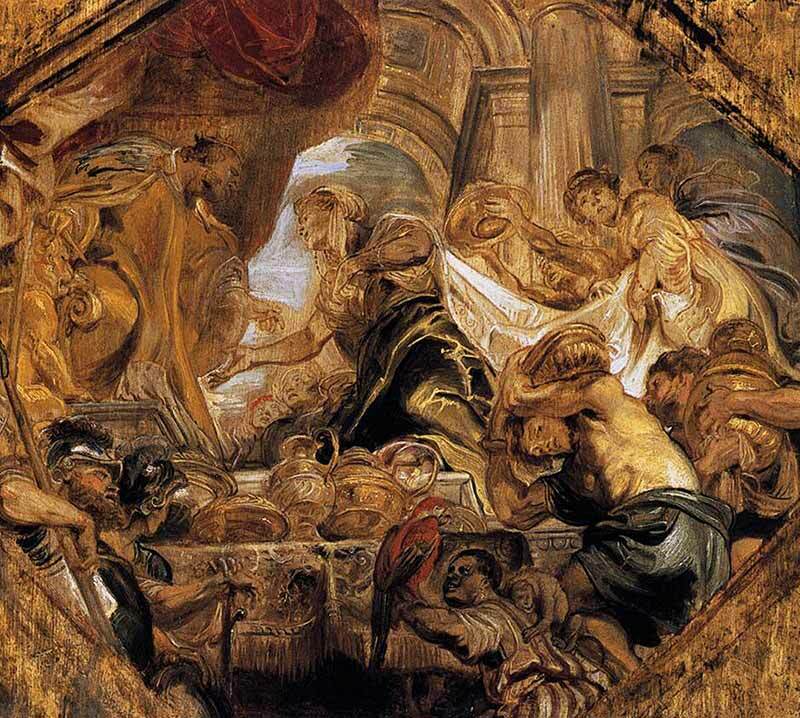 The great painters of the Renaissance frequently portrayed the Queen of Sheba visiting King Solomon’s court and three wise men bearing gifts to honor the birth of a child in Bethlehem. Children of all ages, meanwhile, have long thrilled to the tales of mythical Sinbad the Sailor battling monsters and visiting magical places, of Aladdin and his golden lamp, and of Ali Baba and the Forty Thieves. Until the late fifteenth and early sixteenth centuries, when the voyages of explorers like Vasco da Gama and Ferdinand Magellan from Portugal and Christopher Columbus from Genoa by way of Spain led to the opening of direct, all-sea trade routes to India, China, and the mysterious “Spice Islands,” a significant portion of the luxury goods from Asia craved by the European world traveled through the land and waters of Arabia. From the dawn of the Age of Exploration forward, nearly five hundred years passed before a singularly-powerful leader—King Abdul Aziz bin Abdul Rahman Al Saud (Ibn Saud)—united the kingdoms of Najd and Hejaz to form the country we know today as Saudi Arabia. The fortuitous discovery during his reign of an astonishing source of wealth buried deep beneath its sands brought his new creation, lying in the very heart of the Arabian Peninsula, wealth and influence on a scale comparable to that enjoyed by its forbearers of yore. For vast stretches, the land traversed by those long-ago caravans was arid, challenging terrain, mostly desert, with a seemingly endless ocean of sand dunes lying far to the south in a region known as “Rub’ al Khali” (Arabic: الربع الخالي‎)—in English, “The Empty Quarter.” A crazy quilt agglomeration of local tribes populated the peninsula—in past ages more than now, but still now—each with its own distinctive traditions. The rigors of adapting to life in such a land led to a system of communal life where deep-rooted tribal, clan, and family loyalties cemented together by staunch blood relationships helped make survival possible. Over the centuries, those tribes struggled often amongst themselves for preeminence, their endemic conflicts portrayed by some scholars as a direct reflection of the severe realities of a land that demanded strength, endurance, self-reliance, adaptability, independence, and courage of all who wished to abide there. Through countless generations, hardy nomads found ways to survive in the harshest of the peninsula’s tracts, steeling themselves to the desert’s heat and cold and conditioning themselves to endure for days at a time without liquid replenishment or solid sustenance. Using such trials to measure their mettle, one may justifiably look upon the Saudi people as heroic survivors of climate and geography and history. Indeed, endurance, determination, and perseverance are hallmarks of the Saudi character, key elements in understanding who and what these people are and how they view and live life. From the dawn of recorded history into the seventh century CE, waves of foreign conquerors occupied peripheral areas of Arabia for varying periods of time, lasting in some cases for centuries. Among those conquerors were the Phoenicians, the Assyrians, the Babylonians, the Egyptians, the Persians, the Greeks, the Romans, and the Byzantines. 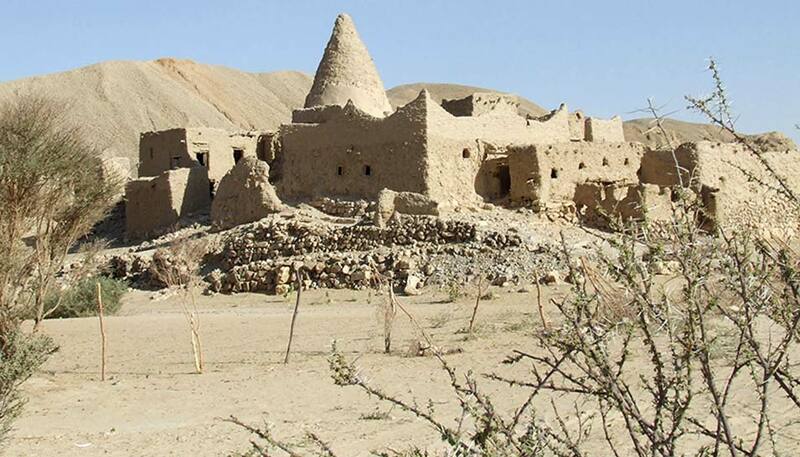 Over the centuries, however, the vast distances and daunting landscapes of the peninsula’s interior, coupled with the hardiness of its peoples, protected large areas of Arabia from foreign control, in particular the upland regions of the Najd. On occasion, facing demographic pressures, Semitic invaders rose out of Arabia to subjugate foreign lands, most notably the “mysterious Hyksos,” described by one historian as “shepherd kings” from the land of Canaan, who conquered Egypt in the eighteenth century BCE. 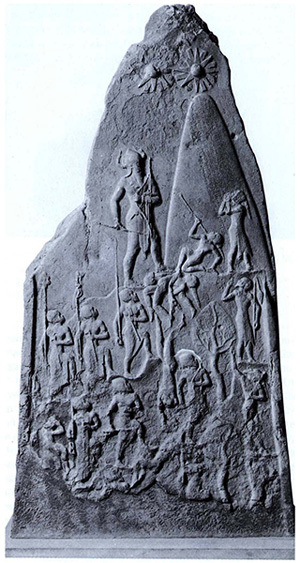 In subduing the Nile Valley, the Hyksos employed two powerful new weapons whose adoption by the defeated Egyptians transformed the pharaoh’s armies: the composite bow and the chariot. Within Arabia itself, concurrent to the travails brought by sundry invaders from afar, internecine struggles between an inchoate mass of indigenous tribes shaped life on the local level. 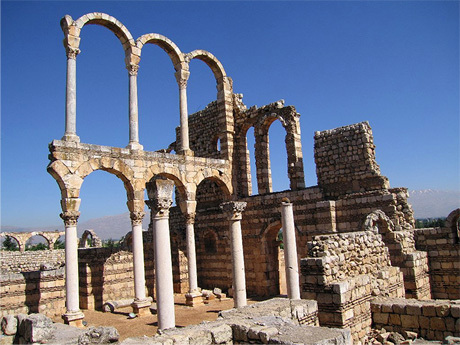 On a larger scale, a succession of Arab kingdoms struggled for hegemony in the peninsula, the trajectories of their histories traceable today by the magnificent ruins of the palaces and fortresses and places of worship they left behind as their testaments. The intricate pattern of human enterprise woven by these many events is too complex to portray in its fullness here. Their most significant legacy arguably is, they served as an extended prelude to the rise of Islam.